Reale Accademia di Musica derived from a very popular band from Rome, I Fholks, that in their career also supported Pink Floyd and Jimi Hendrix (both in 1968 in Rome), but just managed to release a single. The origins of this group lay in a beat band, i Condors, formed in 1965 and featuring guitarist Claudio Baldassarri and bassist Pierfranco Pavone, later renamed Folks to play as backing band of singer Roby Crispiano. The name was changed again to Fholks after the entrance of singer Henryk Topel and drummer Ruggero Stefani, and it was this line-up that played those two important concerts. 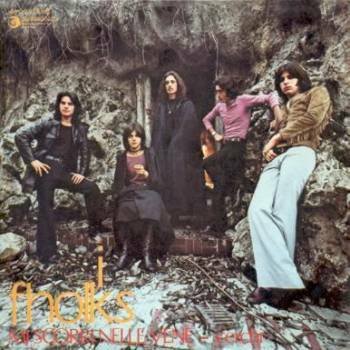 With new guitarist Pericle Sponzilli (replacing Baldassarri, who went to form Crisalide) and keyboardist Enzo Volpini, Fholks recorded their only record. The good single included a reworking of an Iron Butterfly song, Soldier in our town, translated as Mi scorri nelle vene, and was produced by Equipe 84 leader Maurizio Vandelli, that brought the group to the Ricordi label. 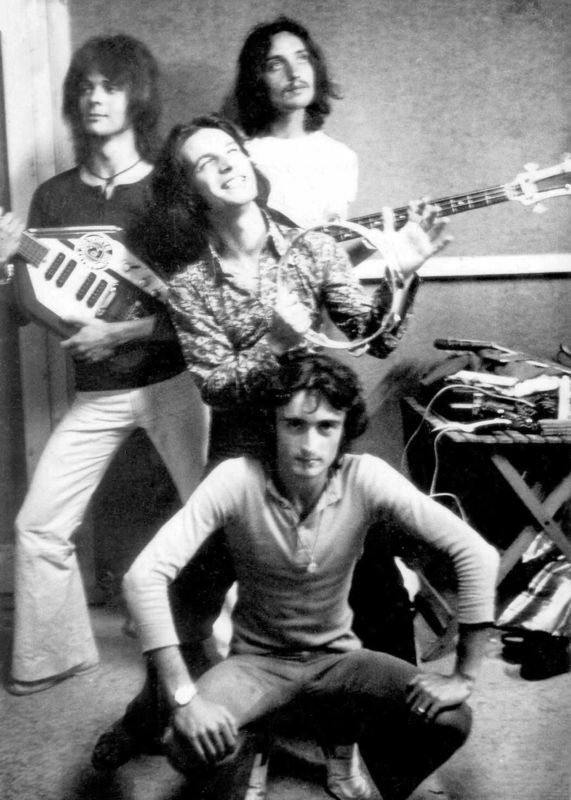 After the entrance of keyboardist Federico Troiani the quintet had its most stable line-up, and played in many important festivals of the early 70's, like Caracalla and Gualdo in 1970 and the Viareggio Pop Festival in 1971, but split during the recording sessions for their first English-sung album. 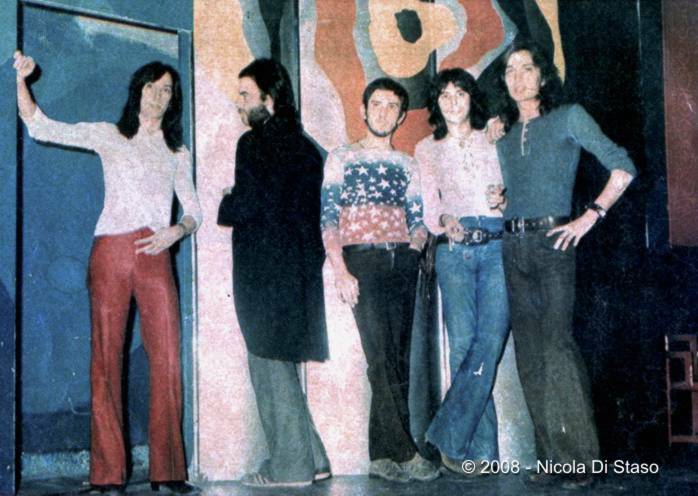 While drummer Ruggero Stefani (previously he had been the only man in the all-girl beat group Le Pupille) joined L'Uovo di Colombo, that also included his ex cohort Enzo Volpini, the others formed Reale Accademia di Musica, but guitarist Pericle Sponzilli left soon after the recording sessions of their LP, being replaced by Nicola Agrimi (from Le Esperienze and early Banco del Mutuo Soccorso). 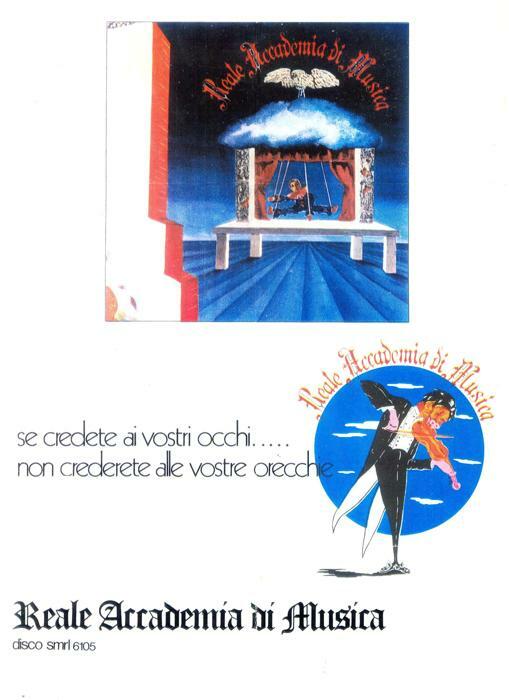 Produced again by Maurizio Vandelli, Reale Accademia di Musica is a good work, though not particularly original, dominated by the keyboards of Federico Troiani and with good vocal parts by the singer Topel. The long Il mattino and Vertigine are the best cuts of a nice album. Soon after the album the band changed line-up, with new guitarist Nicola Di Staso (from Le Rivelazioni) replacing Agrimi, and later the drummer Walter Martino (formerly with Il Ritratto di Dorian Gray). This line-up played in 1973 in one of the "Controcanzonissima" concerts held at Rome's Piper, then Di Staso joined Logan Dwight and Martino formed Goblin and Reale Accademia actually ceased to exist. 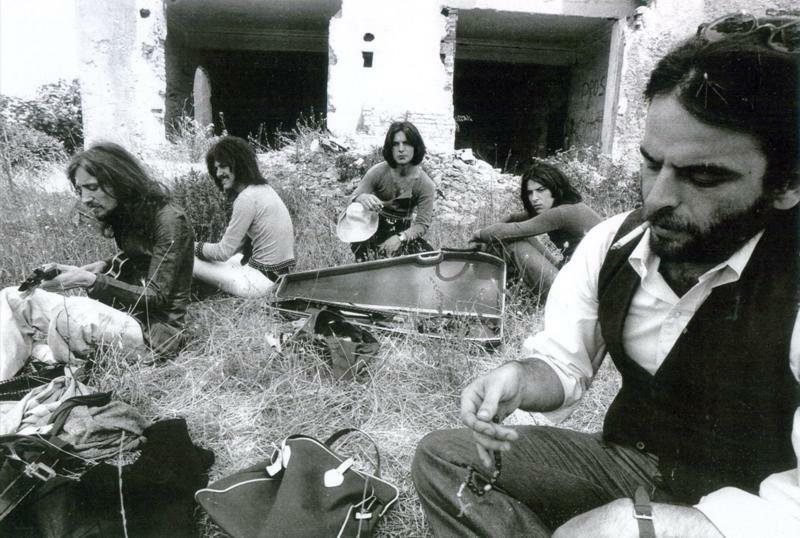 A line-up including Topel, Troiani, Senzasono, bassist Dino Cappa and guitarist Gianfranco Coletta (ex Banco del Mutuo Soccorso and Chetro & Co.), worked with singer songwriter Adriano Monteduro, and in 1974 his first album was co-credited to Reale Accademia di Musica. This is by no means, as many say, the group's second album, as they were just working as the backing band to Adriano's songs, and it's a beautiful album of songs with soft rock arrangements, not a prog album at all! The same group of musicians worked on a new album, entitled La cometa, with tracks written by singer Henryk Topel that was never released at the time. 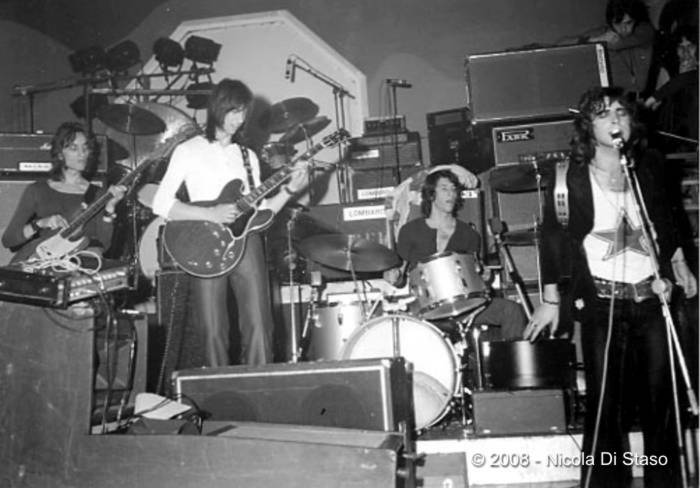 The unreleased album, recorded in 1974, was finally issued in 2013. 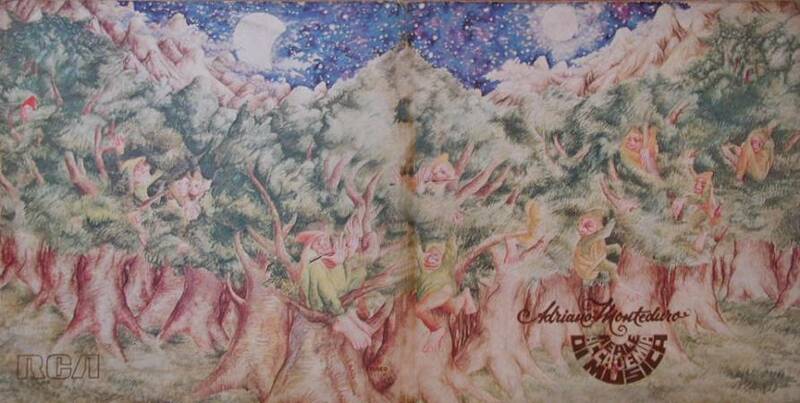 The last appearance of the musicians from Reale Accademia di Musica was with Nada on her 1975 album, 1930: Il domatore delle scimmie. 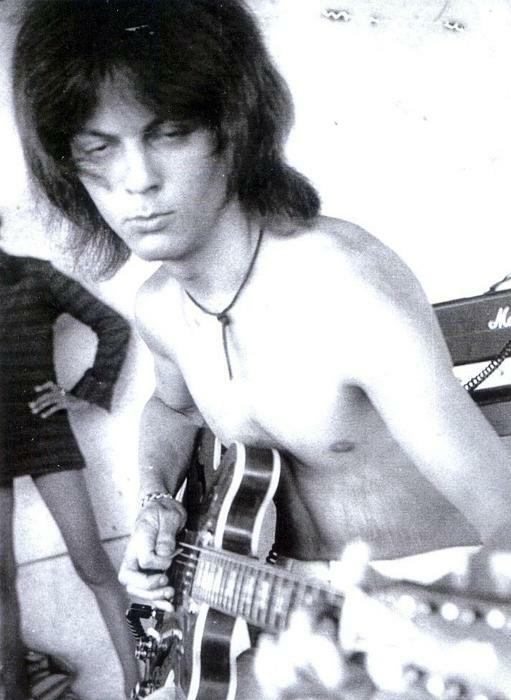 Federico Troiani had a good career later as solo artist, session musician and producer until his death in 2000. The name Reale Accademia di Musica was used by Adriano Monteduro for two CD's recorded with his son Antonello (keyboards), Manuel Muzzu (bass) and Giuseppe Augusto Aramo (drums and vocals), and later by a new line-up led by Pericle Sponzilli for the 2018 album Angeli mutanti, but the style on all these releases is very different from the old group. First album, housed in a gatefold cover not particularly beautiful, is not rare and rather common in Italy (but not cheap!). Second album is more difficult, probably it was released in a limited quantity though on RCA. It has a thin and delicate textured gatefold cover and a brown coloured lyric inner. Both albums have been reissued in 2013 by Sony wuth gatefold covers. The first one had been previously reissued in 1990 and had another reissue in 2017. 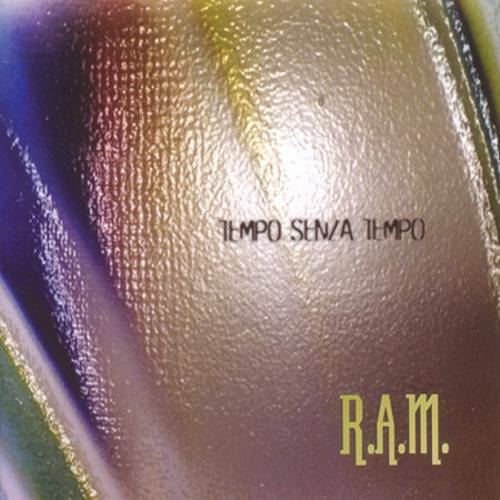 The first album has been reissued on CD in March 2003 by BMG with mini-LP gatefold cover and obi, as part of their "Dei di un perduto rock" series, and later repressed in October of the same year when a second batch of those CD's came out. The same CD was announced by BMG as being also available with standard jewel case (cat.no. 74321-98074-2) but was probably never issued in this form. Both albums have been reissued in Japan, the first on King (K22P 281), and Korea. 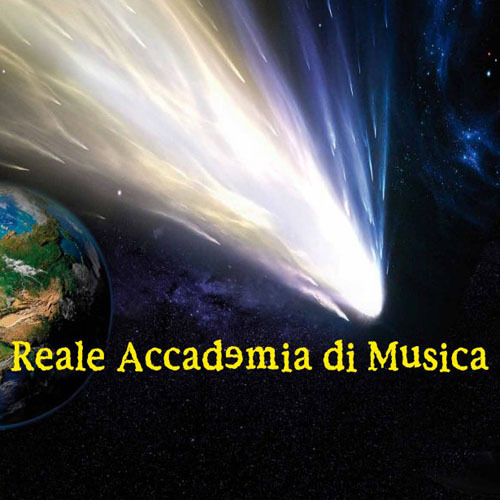 The unfinished second album by Reale Accademia di Musica, La cometa, was issued in 2010 by the Pinball Music label as digital download only. The first official LP and CD release, limited to 500 numbered copies each, came out in 2013 on the Poliedizioni label. 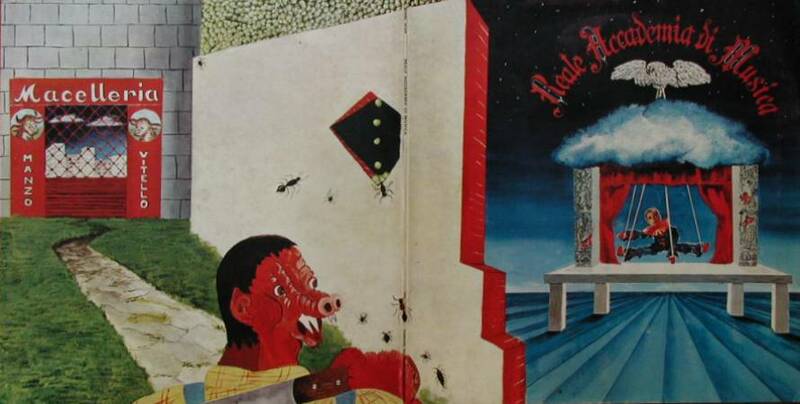 The Nada album 1930: Il domatore delle scimmie was released in 1975 by RCA (cat.no. TPL-1 1157) and six tracks on it were written by Reale Accademia singer Henryk Topel. A single was also released with two tracks from the album, Il domatore delle scimmie and È bello cantare. It had the catalogue number RCA TPBO 1134. 1- How did you join the Fholks? And how was the evolution of this band into Reale Accademia di Musica? The Folks used to be in the second half of the 60's the backing band of a popular singer, Roby Crispiano, and they also took part in the Cantagiro with him. 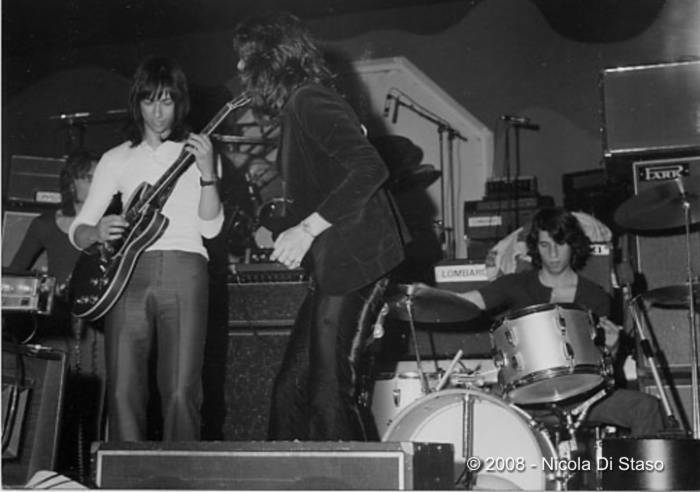 Later two of the members (Claudio Baldassarri and Piero Pavone) decided to form their own band, added an H to the name and found a new drummer (Ruggero Stefani). He was a friend of mine and, as we had already played together, suggested to include me in the new group. We played together for a few years, many things about Fholks and their line-up changed during their career can be easily found on various Internet sites. Anyway, at the beginning of the 70's our record company, Ricordi, decided to change our name, as it was common in those years, and chose Reale Accademia di Musica [Royal Academy of Music], both for our repertoire and the fact that our pianist (Federico Troiani) had in fact a Music Academy degree. 2- How did you come in touch with Maurizio Vandelli who produced both Fholks and Reale Accademia di Musica? In 1968 we played in Rome with Jimi Hendrix and he wanted to take us on tour as support act. The news made a big impression at the time, gave us the chance to have many live dates and also reached Maurizio Vandelli, who came to see us with Victor Sogliani [both were members of the popular 60's band Equipe 84] and offered us to be our producer with Ricordi. 3- How were the relations with other Italian Pop groups, jealousy or friendship? Our relations with the other groups were generally good, we were real friends with some of them, but there wasn't any form of jealousy as you might think. 4- What was your role in the LP's by Adriano Monteduro and Nada? Adriano Monteduro was a friend of mine since childhood. It was him who forced me to play and, after the Reale break up he asked me to help him to record his musical project. Of course I used for the recordings the musicians I most prized, the ones from Reale Accademia di Musica, and the same thing happened for the album of Nada. 5- When and why did the group split? 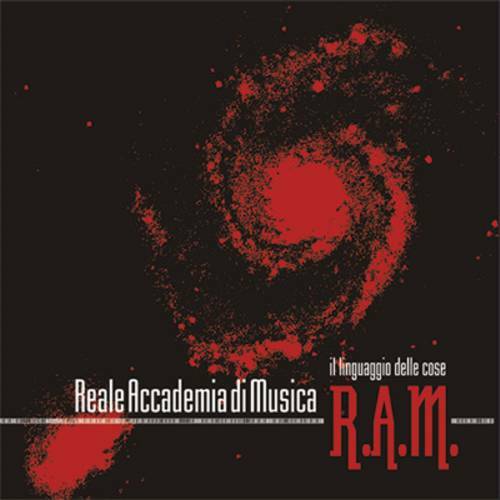 Reale Accademia broke up soon after the release of the first album. Therwere many reasons, the last of which was the theft of our van with all our instruments, the fatal blow. 6- What's the story of this album, La Cometa. How come it wasn't issued at the time? La Cometa was recorded for RCA in 1974 soon after the record we made for Monteduro. The record company gave us much money for it and each of us decided to try his own solo career, some even took off for exotic countries and everything ended here. Despite this, soon after the recording RCA sent me a card saying "With compliments of RCA". 7- How did you come to the decision of finally releasing it after all these years ? And why didn't do it before? The master, whose only copy was kept by my old friend Stefano Fournier (who also took part in the recording) laid forgotten for many years. Not long ago I requested the rights to Universal, owner of all the historic material of RCA, and they told me they didn't have anything left, so I had the old tape remastered and brought it to light again. 8- In recent years the name Reale Accademia di Musica was used on a couple of CD's very far from the music of the original group. May I ask you what your opinion is? This is something that made me very angry, Adriano Monteduro had the unfortunate idea of using the name of the group for his own productions without asking the permission of any of us. 9- Is there any idea of reviving the old group for some concerts? No, I don't think. Everything has its own time, today Reale Accademia di Musica can be heard only through the music it recorded, which allows to appreciate the sound and the freshness of five young boys about twenty years old, with their desire of music and great hopes.